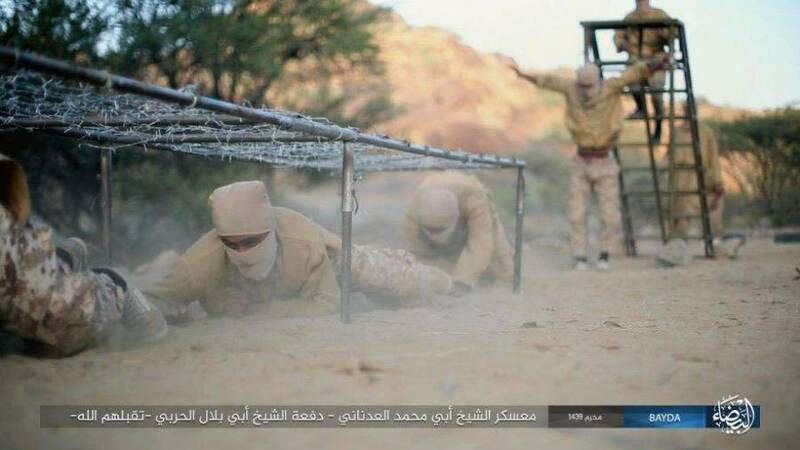 Despite this ridiculous training method, ISIS remains a serious problem in Yemen, attacking both sides of the civil war raging in the small nation. TelegramThe ISIS instructor kicks one of his trainees between the legs in propaganda picture. In a recently released image from ISIS, new recruits can be seen being kicked in their balls as part of their training. 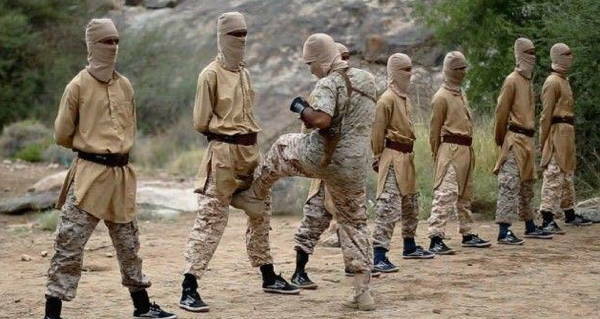 A newly released propaganda image from the Yemeni branch of ISIS depicts new recruits being kicked in the groin as part of an odd training exercise, reports The Sun. In the image, one can see ISIS members with their legs spread wide as an instructor goes down the line kicking each one in the groin. This image seems to be intended to convey that ISIS fighters can endure immense amounts of pain. The picture was disseminated by ISIS on the message service Telegram. It was accompanied with numerous other images, showing more conventional training techniques like target practice and firing rocket-powered grenades. The photos were taken at the terror group’s Sheikh Abu Muhammad Al-Adnani training camp in Yemen. TelegramAnother, less unusual, picture from this set of propaganda images showing ISIS members crawling under barbed wire. ISIS formed a branch in Yemen in 2014 to participate in the civil war in the nation. Since then, they have attacked both sides of the conflict, mounting attacks on the Iran-backed Houthi rebels, as well as the Saudi-backed Hadi government. This is not the first time that the comical training techniques of ISIS have come to light. In a bizarre propaganda video released by the terrorist organization in 2015, they show their ‘special forces’ engaging in drills that include doing forward rolls and having tiles broken on their head. Despite these ridiculous techniques, ISIS remains a serious problem in Yemen, and will likely remain one until stability is brought to the nation. Next, check out these images of fleeing ISIS fighters dressing as women to avoid capture. Then, see these chilling photos of the ISIS militant terror group.